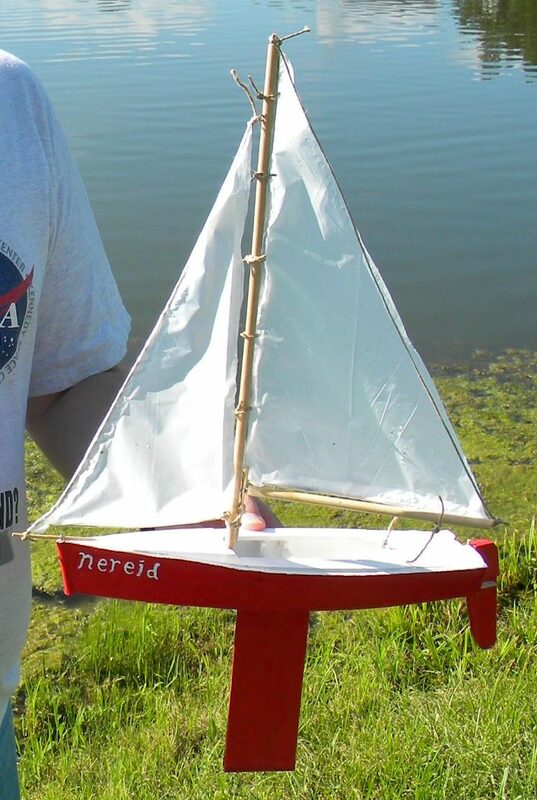 ‘I recently built a somewhat modified Ella skiff sailing version model, and figured you would appreciate hearing about it (as it is built from your design). I tweaked it to give it a Marconi rig and a jib, and added an over-sized bronze keel. 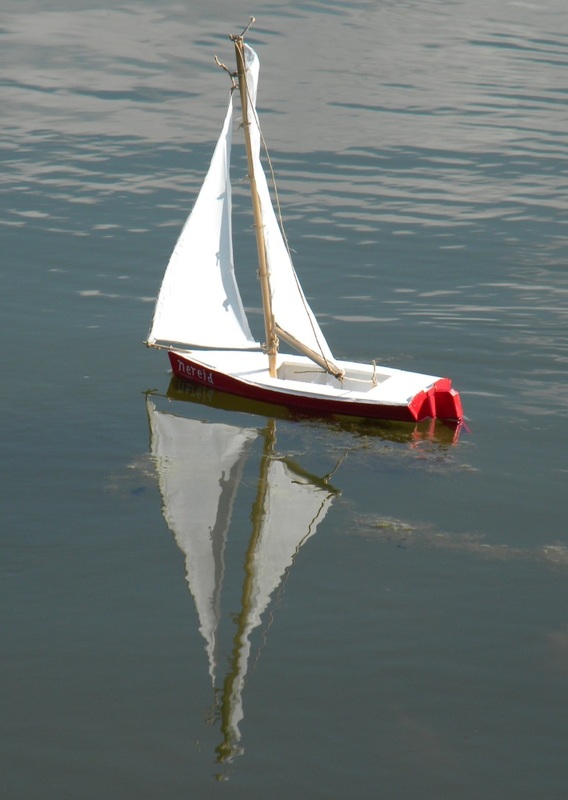 It was built on the cheap, and I have precious little experience, so it may not be the prettiest, best constructed, or most finished model, but it actually does sail. Quite well, in fact. It loves to beam-reach, and can really zip if it catches the wind on a broad-reach. I am glad I found your website. 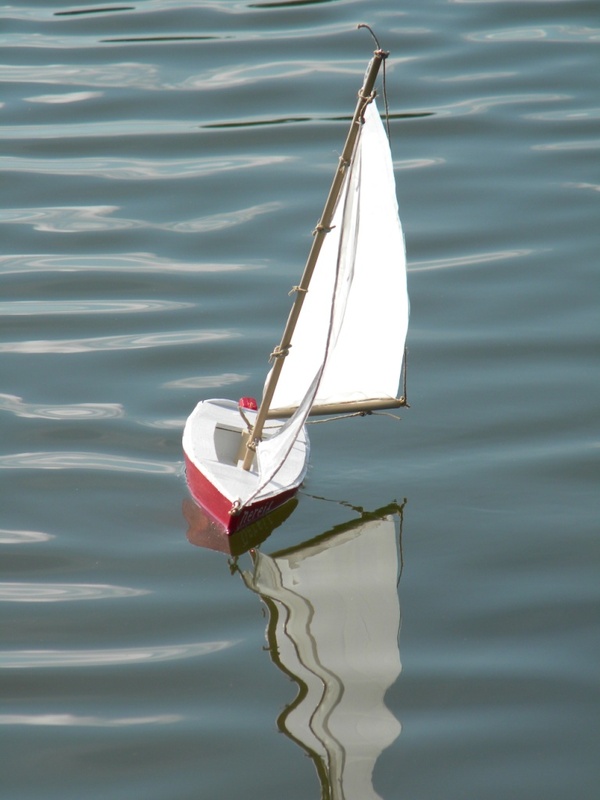 I was looking for plans to build a simple yet nice-looking free-sailing model, and your plans fit my needs perfectly. Thank you for such a useful site and such well laid-out, logical, and easy to follow plans. Well done and thanks Eric – receiving something like this is a great start to a day. For more on the Ella skiff, including the full-size and model plans for both the rowing and sailing version, click here and here. I've since modified the sails, as you suggested. New (thinner) rigging lines and a new jib (with a boom), as well as bowsies for the sheets for quick adjustments. Looks nicer and I can now get it beat and even close-haul.